This article is intended to help club Education leads plan for the new Foundation Syllabus, which comes into effect in September 2019. Good operating and safety are still at the core of the syllabus but a number of new topics (chiefly ‘digital signals’) have been added and some things dropped. My purpose in writing this is to highlight what is changing and to make practical teaching suggestions for the new subjects. I plan to write similar articles about the new Intermediate and Advanced syllabi. The pictures and diagrams in this article are not ‘official’ (i.e. from the syllabus) because the material is not available as I write this. The images come mainly from my club’s Intermediate course slide deck. There has been some confusion regarding the syllabus reference numbers, which have totally changed. This gave some people the impression that whole swathes of learning have been removed but this is not the case. Syllabus ref 1A5 lists the criteria for when callsigns should be given, including on change of digital protocol. This is fundamentally no different to the long-standing requirement to identify on change of mode. Change of supervisor now specifically requires an amateur to give a callsign. It always has, of course. This might seem obvious, since the supervisor is legally the station on air, but Foundation students often find Supervision puzzling so this detail is a good idea. Note also Syllabus ref 7F1 (Operating Practices and Procedures)  embedded callsigns must be considered. 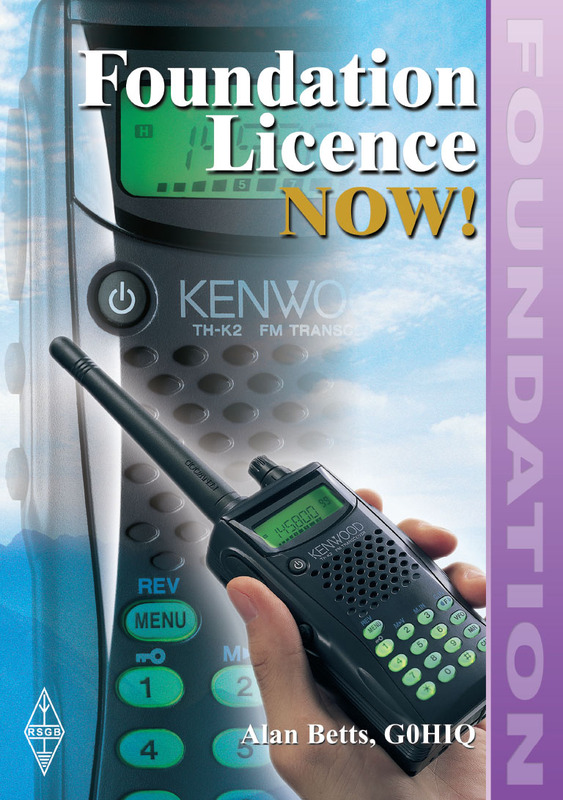 Take DMR handheld radios, an example of what the new syllabus calls ‘Digital Voice’ or DV transmitters. In setting up a DMR transmitter, the user programs in a callsign, which is transmitted in the data stream. Imagine I am using a friend’s DMR radio in a scenario that does not constitute Supervision. If I simply transmit, identifying correctly as G7ETW, this will not match the embedded owner’s callsign in my transmissions and I, not the radio’s owner, will be guilty of not clearly identifying myself on air. In the old syllabus, in section 2c.4, Broadcasting (which was never defined) is not permitted. Section 1C3 of the new syllabus dictates that transmitting ‘for general reception, that is to anybody that may be listening’ is not allowed, with the exception of CQ calls and nets. This is what Broadcasting was but the word is not used. ‘Broadcasting’ does appear in the new syllabus under Band Plans in Section 7B1, where it has the usual ‘Terry Wogan’ meaning. Fundamental theory (section 2A), Power (2B), AC theory (2E) and Cells and power supplies (2J) are unchanged in content from the previous syllabus. Sections 2C1 and 2C2 require the student to know Kirchhoff’s Law (but not by name), that is to say, the current in a circuit is the same everywhere. These topics have come down from the Intermediate syllabus. Digital signals are introduced in section 2F. In an analogue waveform there are an infinite number of possible values but a digital waveform has a fundamental granularity because only integer values, from zero to the maximum facilitated, can be stored and retrieved. The sample rate determines how frequently a value is stored. This is all covered in section 2F1. Take CD digital audio, sampled at 44kHz and stored at 16-bit resolution. This has 44,000 data values per second, each ranging from zero to two to the power of sixteen minus one, which is 65536 in decimal. Section 2F2 deals with how digital signals are processed. ‘Computing Devices’ called ADCs (Analogue to Digital Converter) and DACs (Digital to Analogue Converter) are required because humans cannot process raw digital audio. Students must ‘recall’ these things; they must know what they are and when they are the correct answer to a question. It is easy to think that in this digital day and age people know all this but, in my experience, students don’t. Any waveform can be digitised and this leads to a potential confusion. Take CW  this looks like a digital signal but it is actually analogue. Yes, there are only two values  high and low  and these repeat a lot but CW is not, in this context, a digital signal. Section 3A3 introduces Sidebands, previously met at Intermediate stage, to Foundation students. Yet section 3A4, another ‘identify’ requirement, does not add a diagrammatic representation of an SSB signal for students to learn and recognise. Section 3M builds on the digital signals concepts, especially ADC and DAC, and covers, as ‘recall’ points, SDR receivers. This is actually a very good explanation of how SDRs work and I think students will, as a result, gain a good understanding of this ‘new’ technology. Twin or Open Feeder, Fig. 1, did not feature in the old syllabus but now appears as a type of feeder to be recognised. Coaxial cable is still described as the most common used. The balanced and unbalanced nature of these is spelled out. Tutors have always had to teach this in order for Baluns to make sense but it is clearer now. Fig 1: An example of commercially-available twin feeder. For the dipole and the Yagi (but not the ¼- and ⅝-wave verticals), polar plots are now introduced, Figs. 2 and 3. Section 4C2 requires students to ‘identify’ these antenna plots. Fig 2: Polar plot for a dipole antenna. Fig 3: Polar plot for a Yagi beam antenna. Gain is explained in section 4C3 as being ‘normally expressed’ as relative to a dipole and expressed in decibels (dB) but the common term dBd (decibels relative to a dipole), often quoted by manufacturers, is not used. dBi, the gain relative to an isotropic radiator, the unicorn of antennas, does not feature (fortunately!). Types of Antennas (Section 4D), Standing Waves (4E), Antenna Matching Units (4F) and Dummy Loads (4G) are unchanged in content. Section 4H adds SMA connectors to the syllabus. Handheld radios have used these sockets for a long time so students should be familiar with them. See Fig. 4, which shows an SMA antenna socket on an Inrico T-320 Network radio. Fig 4: An SMA connector. Another antenna is obliquely introduced in the syllabus, under Safety (Section 6)! Students learn that Waveguide antennas, Fig. 5, which previously appeared in Safety at Intermediate level, should not be looked into when transmitting, which is obviously good advice. 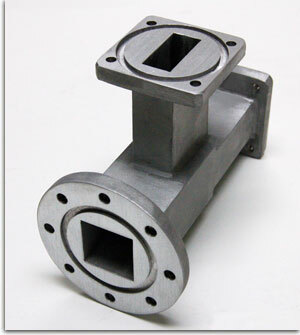 Fig 5: A typical section of waveguide. Section 4D would have been the place to include Waveguide antennas but this was not done. 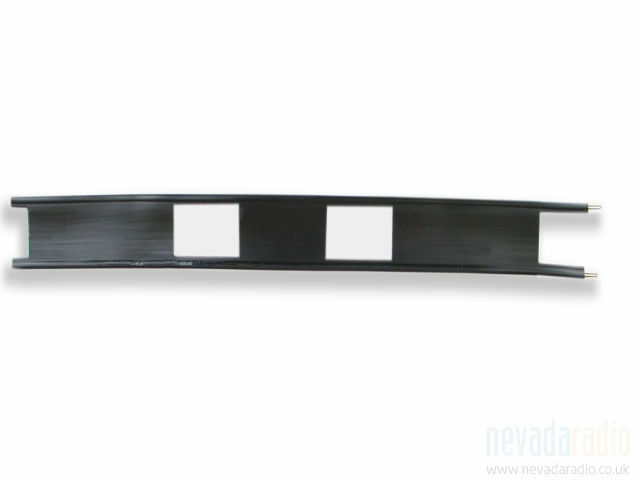 Teachers will need to include a picture of a waveguide and explain that these are used in microwave systems. No explanation of their properties is necessary at Foundation level. There is nothing new in Section 5. Section 6E2 covers RF earths, which is straightforward enough. PME (Protective Multiple Earth) earthing has thankfully gone (it was in Safety) but earthing complications remain. Section 8A2 makes reference to the ‘District Network Operator’ who ‘must’ be consulted before installing or making changes to an RF earth. The old syllabus, in Section 7d.1, made reference to disputes with neighbours and the social difficulties that could arise. Section 6G of the new syllabus makes more of this, covering practical things a radio amateur can do, should he or she find themselves faced with such difficulties. Section 7A5 requires students to understand the advisability and common practice of keeping a log. The old syllabus instructed students to ‘recognise’ this but added that it would not be examined. We can only infer that now it can be. Playing music and bad language are covered in Section 7A6. The syllabus says these things are ‘unacceptable’ and that is the word students will have to look for in answers. Many amateurs, for a very long time, have considered playing music on air to be illegal but that is not strictly true. Section 7C2 requires students to recall that simplex operation through repeaters ‘should’ not take place. This is, one would have thought, unnecessary since Band Plans and their ‘gentleman’s agreement’ nature have always been taught. Using a repeater input or output as an ordinary channel is just one example of inconsiderate operating. Packet radio TNCs are dropped in Section 7D1 as an example of connecting electronic things to a radio’s microphone socket. The underlying issue of not over-modulating remains, however. Safety now includes a section (8A5) about RCBO (Residual Current Circuit Breaker with Overload protection) devices. Candidates are required to ‘appreciate’ their function but not how they work. Section 8B had no equivalent in the old syllabus. This is about safe soldering. There is no requirement for construction at this level but this change recognises that many Foundation Licensees are keen kit builders and is a valuable addition. Section 8F, called ‘Working mobile and portable’ hammers the safety points home. This covers portable and field-day type situations. Would-be Foundation licence holders are told that safety is everyone’s responsibility and safety issues should be reported to the ‘appropriate person’  doubtless another key phrase to look for in answers. Section 10 is divided into Operating, Syllabus ref 10A and Construction ref 10B. The HF SSB QSO (Syllabus ref 10A2) is unchanged. The 2m FM QSO (Syllabus ref 10A3) is unchanged. The ‘adjust the physical length of an antenna for lowest SWR’ exercise, Syllabus ref 10A4, is functionally unchanged but the syllabus now dictates this should to be done using a ‘transmitter or transceiver, adjustable antenna and a VSWR meter’. Section 8f.2 of the old syllabus made no such requirements. I have always had students do this with an antenna analyser. This allows the VSWR to easily be seen to rise and fall as adjustments are made. Could my MFJ269 could be viewed as a transmitter with a built-in VSWR meter, I wonder. If not, I will do this with a modern radio such as an FT-817 that has that facility. HF matching also has a specific matching exercise. Syllabus ref 10A5 requires students to use a manual AMU (ATU) to tune an antenna to a good match on two bands. This is best incorporated in exercise 10B1 (Construction). Rather than using a deliberately detuned antenna, I recommend the use of dummy loads of deliberately poor VSWR. I made one consisting of 56 100 2W carbon resistors combined in series and parallel to give an impedance of about 110. This can easily handle 100W in case of accidents! The Morse Appreciation is unchanged but is now optional. See Syllabus 10A1. The compulsory nature of this exercise has always been controversial, some teachers seeing CW as just another aspect of the hobby while others view it as of special importance. For the record, I would have been saddened to see the CW element of the Foundation course go. Students, even those that say they will never use it, usually enjoy having a go and have at least tried it. As an alternative to the CW, students may elect to make another QSO, using a ‘real time’ digital mode. FT8 and JT65, popular as they are, will not do for this because they are not person-to-person modes. PSK31 and RTTY, despite certainly not being new, are suitable transmission types. On Practical days my club will need some suitably configured laptops and radios, which will increase the overall set up and admin of the day but this is a welcome change and we will be enthusiastically embracing it. Under Construction, the station build exercise Syllabus ref 10B1 is unchanged. This is probably the most valuable practical for most students. There is a new Construction exercise combining Ohm’s Law and LEDs. See Syllabus ref 10B2. Students must wire a series resistor and an LED, then calculate and measure the current. A second resistor of the same value is then wired in parallel with the first, and the student should explain to the tutor why the current and LED brightness have changed. Using a 3V supply, this could be done using an LED and a couple of 220 resistors. Chocolate block, breadboard or indeed Vero (see Section 8: Safety) could be used. This exercise has two, let’s say, issues. Firstly, we don’t teach meters at Foundation level so students might not know how to measure a current. Secondly, LEDs, indeed diodes of any type, are not part of the Foundation syllabus, old or new, so their forward voltage drop (important for a meaningful understanding of LEDs) is not covered. The exercise, therefore, does not really make sense. It may be altered, or even dropped, before Summer 2019. If not, we shall have to make the best of it! On this page, at the bottom, click on Added and Removed  Foundation level. I won’t try to make justifications for these. All that matters is that they will not be examined from September 2019 onwards. Teachers often go ‘off-piste’ in search of the ‘big picture’ but these obsolete (from a syllabus point of view) elements need to be regarded with a pinch of salt. It must have been an enormous task to update this and the other syllabi and I am glad I did not have to do it! Future syllabus updates will be small and gradual I believe. As club teachers, our job is clear  take the new syllabus and deliver it, giving students the knowledge and enthusiasm they need to pass. Will students be better prepared to make a start in today’s hobby? Yes, I think they will. Will students increasingly want to progress to become Full licensees? Again, yes, I think they will because the levels have been adjusted to make the final jump less daunting. 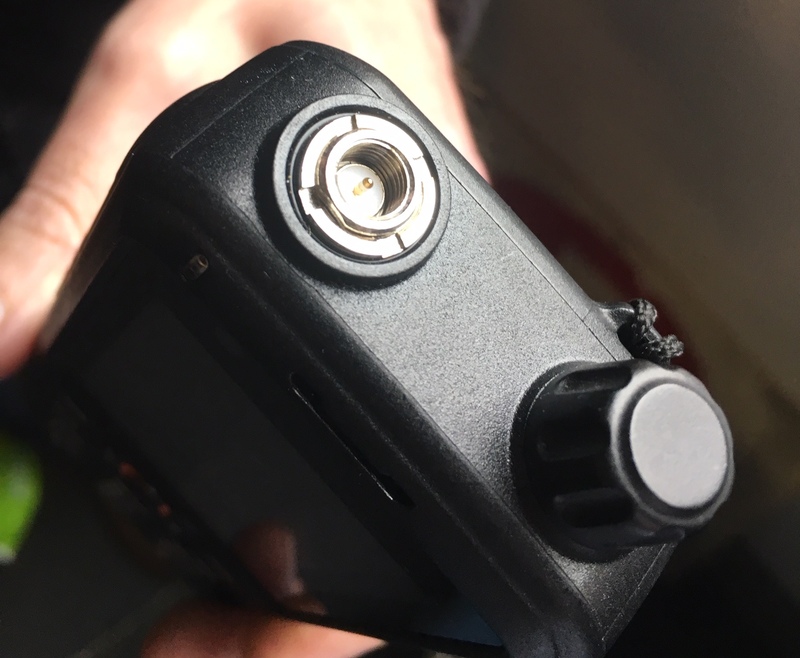 This article has been taken from the February 2019 issue of Practical Wireless and has been written by Tony Jones.